Create your own trading pins! Trading pin season is here! Stay up to date on trading pin specials! Welcome to TradingPinSuperstore.com, your home for everything trading pins! 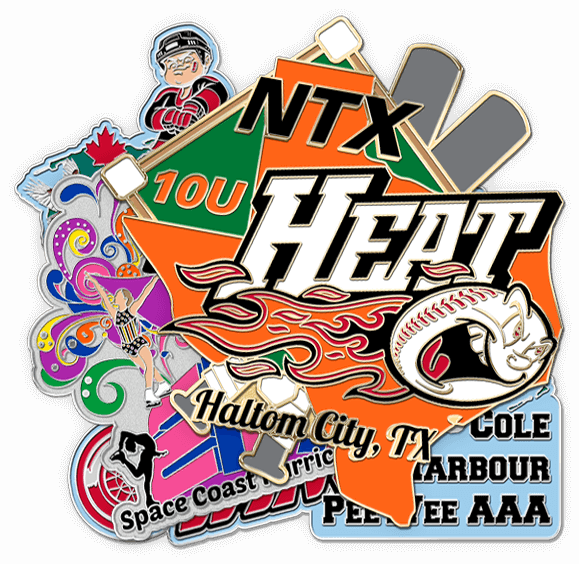 We’re here to help you design trading pins that are sure to be a hit at the trading table or tournament. With the best prices and a 100% satisfaction guarantee, you’ll find the best value right here. Get a no-obligation free quote today and we’ll wow you with the best-looking trading pins you’ll find anywhere. Make your pin truly one of a kind with our amazing pin options and attachments. It’s easy to order your trading pins from TradingPinSuperstore.com! We make the process fast, with friendly customer service that’s here to help along every step of the way. Select a pin style that fits your needs. 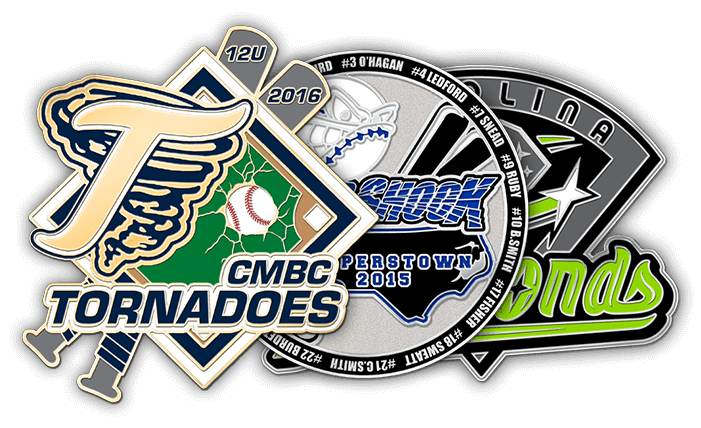 We have pins that fit every team and budget! Fill out our no-obligation free quote form and we'll respond to you quickly with a FREE digital proof of your pins. Feel free to revise your proof as many times as you need until you’re completely satisfied. All artwork and revisions will never cost you a cent! After you've settled on a final pin design, finalize your order. We offer FREE shipping to anywhere in the US. Carry your pins safely and in style! "I received the pins this morning. They look fantastic. Thank you for all your help!" "Thanks again from our entire 10U River Valley Rage Fast-pitch Softball Team. We look forward to working with you again next year!!!" "I received pins yesterday. They look GREAT! The kids will be excited when they see them." Still can’t decide what you want? No worries! All you have to do is fill out the free quote form on this page, and we’ll gladly offer assistance to help you choose. We’ll give you details about pricing, along with a free digital proof of your pin design. We’re here to help, and there’s no obligation at all. Pay a visit to our free quote page, call us toll-free at 866-862-8842, or send an email to sales@TradingPinSuperstore.com, and we’ll get started on a free digital proof of your pin design!